Advanced Wave Analysis Course | NEoWave, Inc. 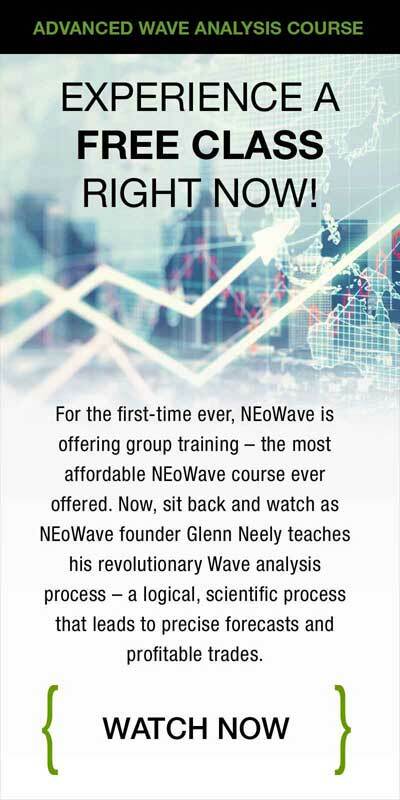 Learn advanced Wave analysis in a 3-month course led by NEoWave founder Glenn Neely. This live-training course takes you beyond orthodox Elliott Wave, providing a step-by-step logical foundation for better forecasting and trading. Choose individual or group training with Mr. Neely. Enjoy one-on-one mentoring with NEoWave founder and forecasting expert Glenn Neely. You and Mr. Neely will meet every Thursday, for 12 weeks, via a conference call with screen-sharing technology. You'll learn NEoWave concepts from Mr. Neely, with plenty of time for questions. So hurry, the private training course fills up fast! This private training course is $12,000 US. Registration requires a $2000 non-refundable deposit. Learn advanced Wave analysis from Mr. Neely in a live training course with a limited number of participants. Class meets every Tuesday, for 12 weeks, via a conference call with screen-sharing technology. As part of a group, you save BIG! Registration requires a $495 non-refundable deposit. Registration requires a $195 non-refundable deposit. 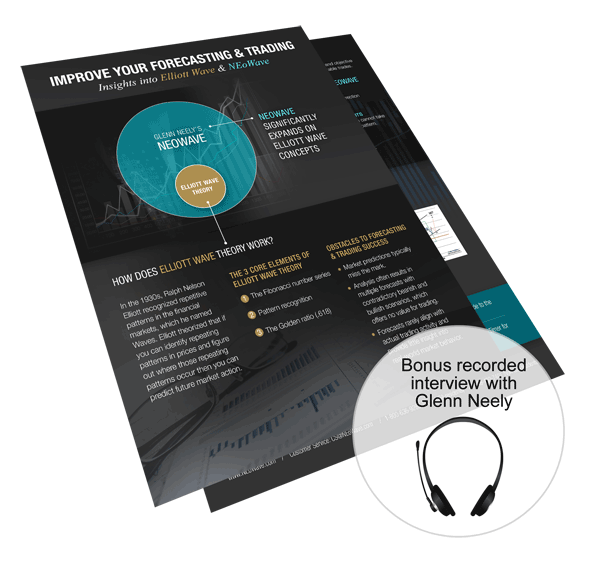 Each 1-hour class in this 12-week course is personally taught by NEoWave founder and forecasting expert Glenn Neely. Each class is live and delivered online via a conference call with screen-sharing technology. All details to join the class will be provided. Time is allowed during each class for questions. Have a basic working knowledge of orthodox Elliott Wave theory. While not essential, it's recommended you read Mr. Neely's book, Mastering Elliott Wave – especially the first 5 chapters. Click HERE to purchase your hardcover copy, Kindle edition, or iBooks edition. You must have Microsoft Excel for Mac or PC (version 2011 or higher). To start, e-mail Magelan@NEoWave.com or USA residents can call 1-800-636-9283, Ext. 2. Non-USA residents, please dial 949-480-7401.